Conflict in the workplace is often created when somebody wants to make a change another party does not agree with. Often it only takes one to create controversy. This person draws others—who many times in order to maintain the relationship have no option—into the vortex. Since this can lead to these people then terminating their employment with the company, the conflict must be resolved. 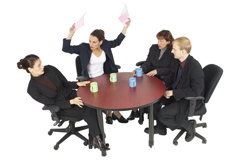 The role of the leader includes mediating conflicts between employees. Many leaders not confident in their ability to resolve stressful conflict may seek to overlook, minimize, or avoid it altogether, allowing it to fester and grow through backbiting and constant complaining that saps the productivity of the organizational unit. In some cases, unresolved conflict may mushroom into a legal issue with one or more parties using attorneys to resolve the problem. This often has wide-ranging ramifications for both the company and the involved leader. It is important for leaders to understand that conflict and disagreements are part of the workplace environment and that it is in everyone’s best interest to develop the skills to resolve these disputes quickly and equitably. Effective leaders learn to watch for any potential conflicts and quickly address the pertinent issues before they explode into a bigger problem. Conflicts and disputes are best addressed early on before they become more complex and difficult to handle. “Conflict” is used to describe numerous situations that are not in fact conflicts, but problems of indecision and personal stress. Conditions induce workers whose jobs are interdependent to feel angry and perceive others as being at fault. These situations and reactions constitute a business problem that must be resolved. There are seven types of conflicts. The leader who can develop a clear understanding of the issues greatly reduces the likelihood of mismatching problems and solutions. Leaders should understand that most conflicts are complex and can include several elements of different issues. Leaders must carefully observe to determine the actual issues involved in order to match causes with solutions. Data conflicts arise over facts, figures and statistics and will have their solutions in obtaining new data or verifying and clarifying existing data. Where there are people there will be personality conflicts. While in general a person cannot hope to please everyone all of the time, the problem is often directly attributable to the manner in which parties interact with one another and can be addressed by improving communication between involved parties. This may include clearly stating needs and developing clear expectations or even written agreements between conflicting parties. Clashes over values occur when disagreeing parties have real or perceived incompatibilities in their personal belief systems. Solutions include increased tolerance, understanding and acceptance of opposing points of view. Disputes often arise from struggles over a real or perceived scarcity of available resources to adequately perform a job or achieve objectives. Conflicts can stem from unresolved experiences, problems and issues. These conflicts can only be settled by revisiting the past. Issues were created over time, and as such will take time to resolve. Both parties must be allowed to vent their frustrations and perspectives on the issue. The separate issues identified must be addressed and trust reestablished between the conflicting parties. External conflicts refer to the realities of life outside the workplace including anxiety over childcare, health, finances, divorce and other personal issues. These conflicts are caused or maintained by the psychological needs of individuals including the desire for power, control, autonomy and recognition. Psychological issues are often masked by other more tangible problems and may be difficult to distinguish. These issues can only be resolved by addressing the individual’s psychological needs. 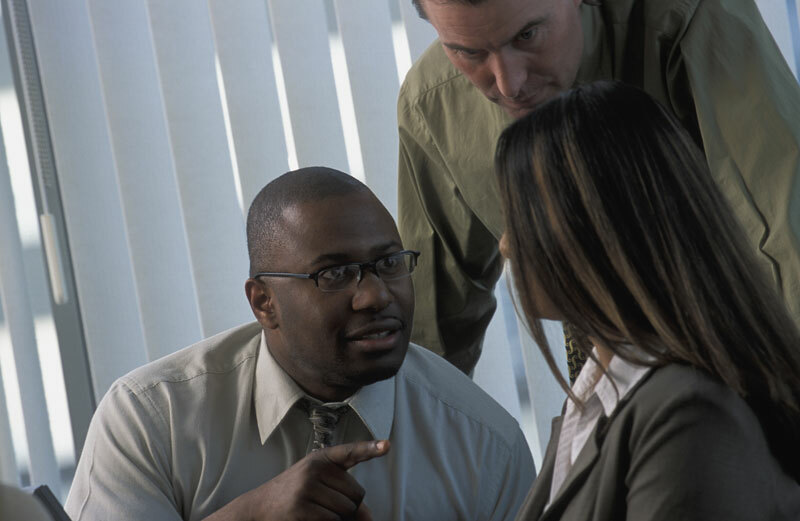 Individuals in conflict will normally employ one or more of the following three basic responses. When an individual chooses to fight, they are taking a side and getting caught up in the emotional energy flying around the dispute. These individuals are only in touch with their personal feelings and those on their side of the dispute. A fighting response may be appropriate when a legal point must be decided, the moral issue is at stake or when a clear victor will not damage the relationship between conflicting parties. Individuals who engage in avoidance are trying to protect themselves from conflict by erecting psychological barriers. This is their way of handling conflict from a safe distance. These individuals have difficulty empathizing with other parties due to the distance they have created between them. Avoidance may be appropriate when it is important to allow the conflict time and space to de-escalate. Individuals simply give up and drop their demands when faced with a conflict. Most feel it is not worth the fight, but may feel used and manipulated later on. The problem is unresolved and festers until it erupts at a future date. In other cases, individuals acquiesce because they prefer to give up on smaller issues to win when larger problems arise. The most effective means of settling conflict is to bring all parties together and allow them to air their side of the issue. Leaders must carefully listen to and observe the interaction between conflicting parties and identify the specific mix of issues involved. Once the true issues are on the table, each must be individually resolved as outlined above. Leaders must be careful to match solutions to the problem. For instance, a historical conflict cannot be resolved by addressing psychological issues nor can a relationship conflict be resolved by addressing value issues. Solutions must take into account the underlying issues of the conflict. Leaders must take care to completely resolve each issue to both parties’ satisfaction. 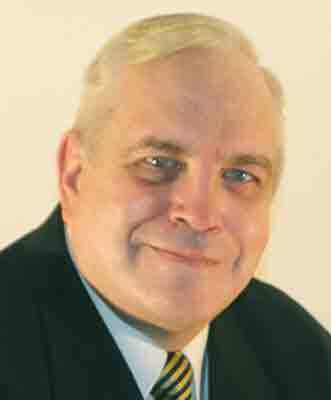 Any issue left unresolved will fester and return as a bigger problem in the future. This includes any conflict with a forced resolution that one or more of the parties is compelled to accept. If you would like to learn more about overcoming leadership challenges, refer to Dealing with the Challenges of Leadership: Pinpoint Leadership Skill Development Training Series. This training skill-pack features eight key interrelated concepts, each with their own discussion points and training activity. It is ideal as an informal training tool for coaching or personal development. It can also be used as a handbook and guide for group training discussions. Click here to learn more.